What an odd life it must be to be married to a governor, especially when you have a such a healthy skepticism of politics and flair for the arts. 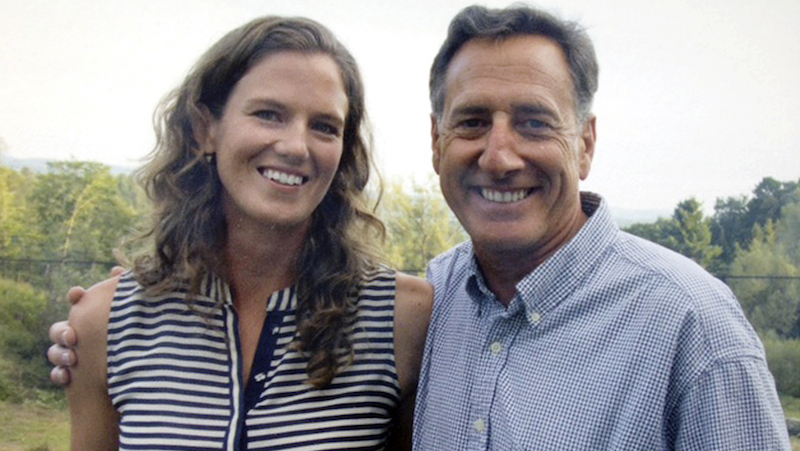 Vermont Gov. Peter Shumlin, 60, has decorated his office with his wife’s artwork, which calls out the frivolity of politics. The work was 31-year-old Katie Hunt’s senior honors thesis at Mount Holyoke College, according to the Associated Press. They depict the governor as a peacock holding a gun (he is a well-known hunter), and the Vermont press corps as “judgmental cows,” which honestly feels perhaps overly incisive and rude as hell. The cows carry notebooks which have real observations like “too young,” and “too reserved”—criticisms Hunt herself received from the press for the age difference of the couple. The sculptures were put in on Monday and will stay there through June 20.